PDF Pattern Bundle #SS1850-01 & #SS1850-02. 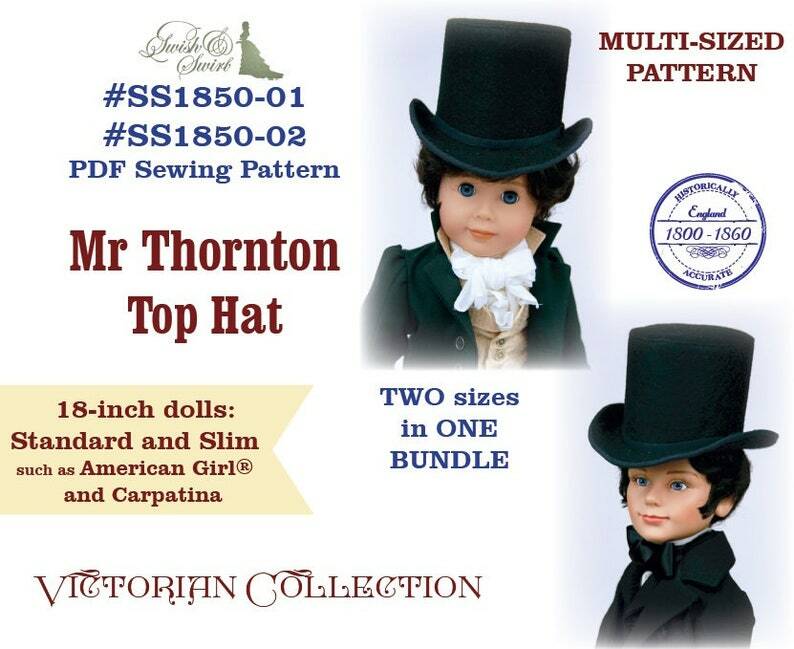 Mr Thornton Top Hat designed to fit slim and standard 18-inch dolls such as Carpatina and American Girl®. Pattern features 13 pages of step-by-step instructions with photographs. Top Hat - 100% wool felt, wool/polyester felt blend. Lining - calico cotton, medium weight cotton. Not suitable for knits or woven fabrics. Your 37 page PDF PATTERN will be available for an instant download once payment is confirmed. Look for the "download" link on your order page. No paper copy will be mailed. Swish and Swirl, Pemberley Threads and Ann Van Doren Designs have collaborated to bring you historically accurate patterns to create a Regency gentleman’s wardrobe for 18-inch dolls. PDF Knitting Pattern #SS2016-K06. Owl Hat and Scarf for 18-inch dolls like American Girl®, Florrie, Gotz, Carpatina. PDF Knitting Pattern Bundle #SS1940-K03 & #SS1940-K06. 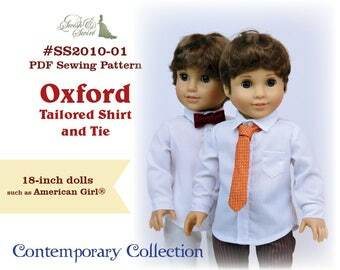 Lucy Cardigan and Katie Cardigan for 18-inch dolls like American Girl®.